So as there is not much to tell you about, I thought I let you have a look what happens in Malaysia, which you would not be as likely to find in Europe. I think you are really going to like it. 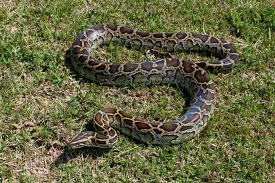 THERE has been a strange phenomenon at Taman Skudai Baru here in Johor Baru and its residents are hoping for some answers soon.Since the beginning of this year, there have been more than 12 reports of python invasion in the housing estate. With about a catch a month, many residents are worried if there were unreported cases. Resident Fairus Azhar Hamzah, 25, said what was worrying was that the snakes often preyed on their pets especially cats and other small animals. Fairus said the size of the pythons caught so far has given him the shivers as the slithery creatures were long and big -- at times more than nine metres long and about half-a-meter in width. "Most of the children staying in the housing estate have developed a phobia for snakes and some are traumatised," he said. Fairus said each time a snake is spotted, the process of capturing it would take on a carnival-like atmosphere as every resident wants to be sure that the snake is caught.About a month ago, Fairus who had gone to get some tools in his storeroom was shocked to see a python in the room. He contacted the Civil Defence Department for help. He said it took the department personnel several hours to capture the six-metre-long python which had put up a fierce struggle. He also said about a week ago, a 10-year-old girl was found screaming and shivering after she witnessed a python swallow a stray cat behind the housing area. 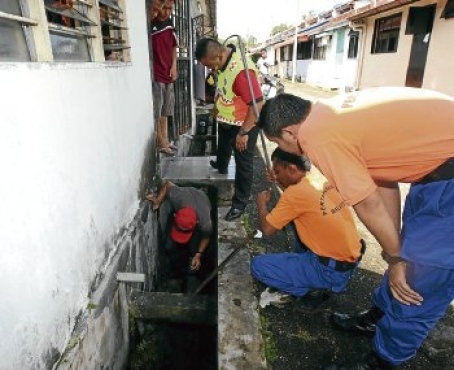 The snake later slithered its way into a drain and went missing. The girl has yet to recover from the shock and is having bad dreams since the incident. Another resident, Azlan Bakti, 24, said the forest and huge drain behind the housing area could be the breeding ground of the reptiles. I would like to read more about this.